A team of developers has unleashed a blockchain explorer designed to make Ethereum data more accessible to mainstream markets. 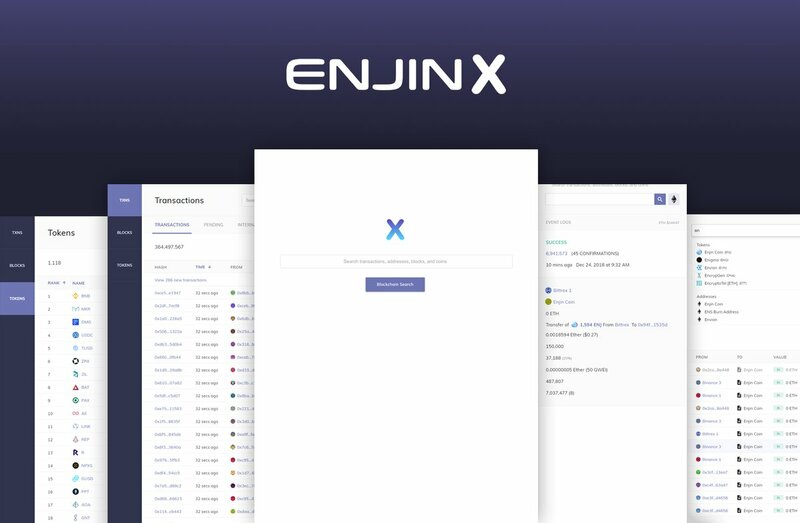 Singapore-based Enjin calls its new EnjinX the “Google of the blockchain”. Traders, gamers, and token holders can explore the Ethereum blockchain, see their balance or validate transactions. The explorer can also be used for research, data mining, and data aggregation. Maxim Blagov, CEO of Enjin, says the engine is an “incredibly important technological step forward for mainstream adoption of blockchain assets”. EnjinX delivers blocks in real-time and displays live tickers for pending and internal transactions. To protect users from “cluttered messaging and promotional fatigue”, Enjin says it has pledged to keep EnjinX ad-free permanently. It plans to make money by offering developer APIs and blockchain integration tools. The token index delivers the latest data for the top 200 tokens. Planned updates include support for BTC, LTC, ERC-721, and Doge, as well as a Rest API for blockchain developers. In addition, it is licensed to operate in China. EnjinX will provide native Chinese translations and has servers residing within the country. The service is compliant with China’s laws and regulations, so Chinese blockchain developers will be able to use EnjinX services directly, “without fear of the service being shut down by the Chinese government at any time”. Enjin specialises in developing tools to support Ethereum-based applications. It has also launched a cryptocurrency wallet and is building development tools for blockchain integration into games, apps, websites, and smart devices. The company was founded in 2009. Its Enjin Smart Wallet has over 500,000 users and features more than 700 cryptocurrencies.